It has been almost a month since Kwan and Reed rescued Rebecca Davis from certain death at the hands of the self-proclaimed President of NUSA, the man who took the life of her unborn child and left her to die. 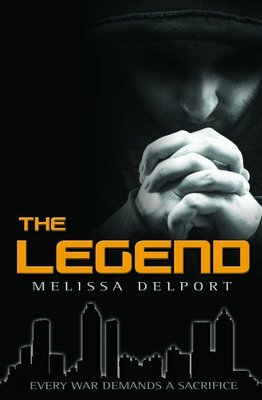 What her tormentors did to her threatens to set her on a new path, one steeped in hatred and vengeance. Rebecca now walks a fine line between right and wrong, between good and evil, between love and hate. With her soul cleaved apart only the bonds forged in the crucible of war can bring her back. 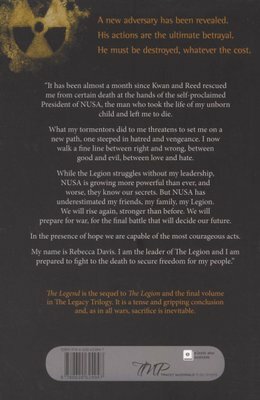 "My name is Rebecca Davis. I am the leader of The Legion and I am prepared to fight to the death to secure freedom for my people". 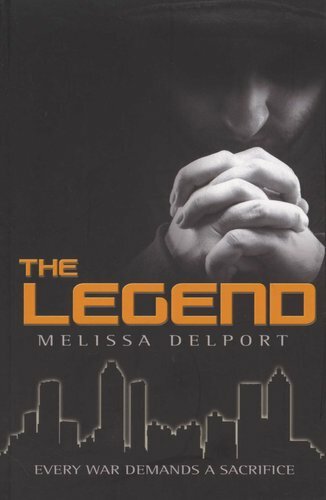 The Legend is the final volume in The Legacy Trilogy. It is a tense and gripping conclusion and, as in all wars, sacrifice is inevitable.